Non-profits and school systems need ultra-reliable communications to operate smoothly and keep the focus on their mission. Due to their often limited budgets, however, these organizations also need to keep communications costs down to the greatest extent possible. 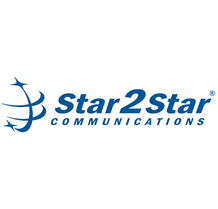 When the Diocese of San Bernardino decided it was time to find a less expensive communications solution to link together Church facilities and schools scattered across a vast territory, they turned to Star2Star. Read more to discover how Star2Star was able to help the Diocese connect with parishioners and students and reduce expenses.